Bashir Ahmed Sujan is one of the renowned photographer in Bangladesh, has 20 years of professional photography experience, both national & international arena. He is a member of Map Photo Agency which is a leading photography agency in Bangladesh. He has traveled a lot of places in Bangladesh which enriched his experienced as a documentary photographer. His commitment towards social issues is reflecting through his work over the years. He is also working in commercial fields like corporate event, advertising, wedding & product photography. Adjudged two times the photographer of the year in 1997 and 1999 organized by AALOK group. Received FIAP, Canon other National and International awards from 1996- 2012. "The Crochet Village" in 2010. •	Contribute to IPS- Inter Press Service (News Agency) Asia-Pacific. •	Contribute to Star Magazine, LIFE Style and Other National News Paper in Dhaka. "Understanding Disability and SRHR": Problems and Implications in Bangladesh" Organized by (CGSRHR) JPG School of Public Health, ICDDRB, BRAC University, BRAC. Funded by NUFFIC. April-2017. 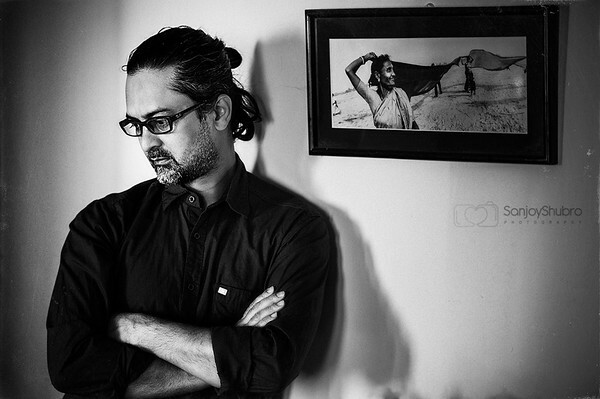 "Photo Story, Writing and Research" with a master class photographer-"ASIM RAFIQUI" Stockholm, Sweden, Organized by COUNTERFOTO, September-2013. * Conducted several photography training workshop for NGOs, Corporate office, Students, during 2002-2013 •	Key conductor and resource person during the Positive Lives Campaign in 2002 - 2005. •	Field Coordinator of Photography Course on SRHR "Lens on Gender & Sexual Diversity" Organized by (CGSRHR) JPG School of Public Health, BRAC University, BRAC. Funded by NUFFIC. April-2016. •	Field Coordinator of Photography Course on SRHR "Documenting People on the MARGINS" Organized by (CGSRHR) JPG School of Public Health, BRAC University, BRAC. Funded by NUFFIC. March-2017. (Joint Partnership of ActionAid Bangladesh & Map Photo Agency) organizing Photo Shows & awareness workshops for School ,Collage & University Student ,Community people, July 2002- October 2008. •	“TRAFFICKED- A project to raise Awareness About Child Trafficking in Bangladesh”( Joint Partnership with SDC, EXPOFORUM gmbH, TDH-Italy) as Exhibition Tour Co-ordinator in Bangladesh. Sep 2010- Jan 2011.